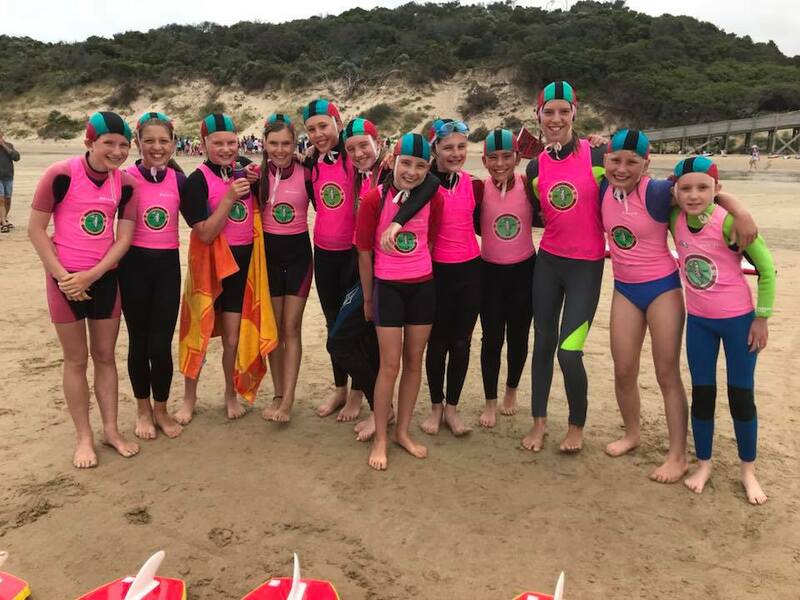 If you have a child between 5 and 13 that loves the beach and you'd like them to learn some skills in the surf then Cape Paterson Nippers is the perfect program. Nippers is an excellent way to introduce your child to the surf and sand. Our Nipper program is for Children aged 5 (as at 30/09/2018) to 13 and includes developing surf awareness and surf education. Nippers will learn skills on the beach and in the water whilst having fun. Following the Surf Education program, Nippers will have a good awareness of beach hazards such as waves and rips and also have a basic knowledge of first aid skills. Competition is offered that incorporates fun and teamwork. Events for Nippers involve swimming, board paddling, wadding, running, beach flags, and relays. Competition is optional. What does the Nippers program involve? A basic knowledge of water safety is vital when swimming at the beach and the Nipper Program aims to teach children surf awareness, surf skills, lifesaving skills and competition/teamwork skills. Nippers should end up with a good awareness of beach hazards like surf and rips and a basic knowledge of first aid skills. Children are allocated to their age groups (age taken as of 30 September) and an age-appropriate program is provided which includes theory and practical activities. Please refer to the Nippers Events calendar for all session dates and session times - please note the calendar is a work in progress and changes may be made closer to summer. This calendar also outlines all social activities offered for Nippers. Where will the Nipper sessions be held? We meet at the Surf Life Saving Club and head down to First Surf Beach for practical activities. I would like to be a Nipper age manager. How can I help? Parents / guardians are asked to consider assisting the program by volunteering to an an Age Group Manager or Parent / Guardian helper for one of the age groups. Each age group needs a few adult helpers at each session. Nipper Age Group Managers are volunteers who run one of the age levels – they are given training and the resources required to run each session. The Nipper Delegates are always available for assistance. A form in the Nipper booklet gives you the chance to join in – please complete and submit if you are interested. What does the Nipper program cost? Please note Nippers MUST have a hi-vis competition vest as part of registration as well as a nipper cap for safety reasons.. If your child does not have a vest, these are available for $20 and the nipper caps are $10, which can be purchased at the club on Registration Day (Date TBC for 2018-19) and ongoing sales each Nipper session. Online registrations are open now, see the link below to enrol. This is the best way to join as you will secure your child’s place. There are limited spots available for the program, so get in early!! We also have a registration afternoon at Cape Paterson Community Hall (next to the tennis courts) on the 28th Dec 2018, 2pm til 3.30pm. You also need to download the Nipper Information Booklet, this booklet includes all the information and forms you MUST complete and post prior to the first session. Nippers WILL NOT be able to attend sessions until these forms are received. For more information please contact our Nipper Co-ordinator Charlie 0427 027 527 or at nipper.delegate@cpslsc.org.au.